Artificial intelligence (AI) is finally hitting its stride as technology catches up with imagination. Out of the realm of science fiction and into the eager hands of the masses, AI is quickly revolutionizing the modern business place. From insight-driven eCommerce platforms to innovative alliances with IoT (Internet of Things), AI is making waves that will have a lasting ripple effect into the future of marketing. Forrester predicted that AI would “drive the insights revolution.” The research firm calculated that investment in AI would grow by a whopping 300% in 2019. The report stated that businesses using AI, IoT, and big data technologies would “steal $1.2 trillion per annum” from businesses that did not by 2020. The list of possibilities Forrester predicted for AI included increasing businesses’ access to data, driving faster business decisions, and closing the gap between insights and actions. 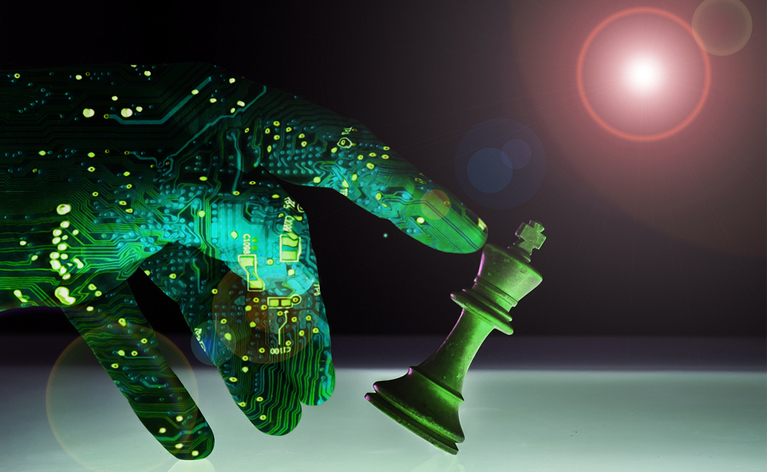 Now we are almost a quarter of the way through 2019, and B2B and B2C businesses are in fact integrating AI and machine learning through complex systems, advanced analytics, and cognitive computing. Many service providers are already including AI components and cognitive computing into their turnkey solutions, helping businesses make faster and more accurate decisions in marketing. Modern marketers are quickly coming to depend on artificial intelligence to conduct daily tasks such as content creation and creating search engine-optimized headlines. AI opens the doors to incredible deep learning capabilities and data analytics tools, giving marketers the advanced, real-time information they need to perfect their efforts. Many companies are using AI beyond marketing, to fuel innovations and drive their industries forward. For example, CureMetrix, one of the startups, is using artificial intelligence algorithms to help hospitals care for their patients. CureMetrix has optimized data gathering and analytics using AI, allowing doctors to make more accurate diagnoses and increase patient survival rates. 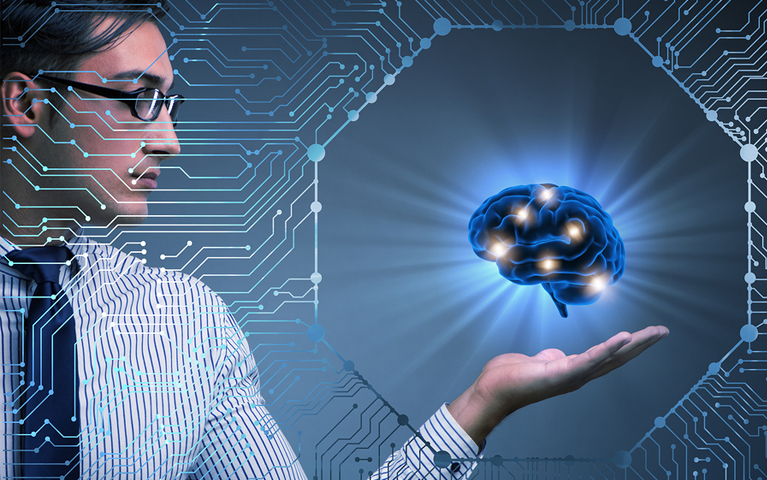 This is just one of the many ways businesses are utilizing AI to enhance the modern world – proving that AI truly is driving an insight revolution. 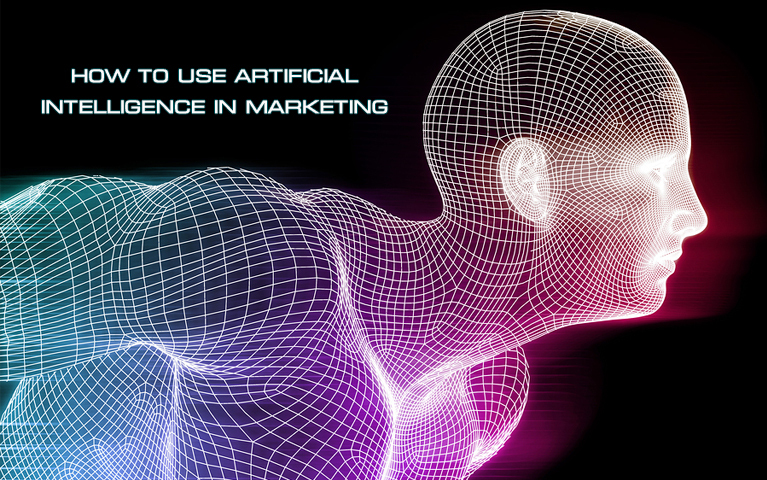 Deep learning is at the heart of marketing AI. It describes the sector of machine learning concerned with algorithms, inspired by the neural networks of the human brain. Deep learning uses algorithms to “teach” computers how to understand user queries, text, images, and speech patterns. Then, the computer uses its knowledge to deliver relevant, helpful answers and solutions according to the users’ needs. Deep learning with AI enables brands to better respond to user demands and create poignant, hyper-relevant content and ads at all times. One example of a brand using deep learning is Facebook’s lauched DeepText, a new AI application that helps Facebook analyze the thousands of stories and comments on public posts in seconds with near-human accuracy. DeepText works to understand slang and culture-specific language, analyzing more than 20 languages and translating text into meaningful communications. Using DeepText, Facebook can make accurate recommendations and show relevant content based on users’ conversations. The level of marketing relevancy Facebook can now achieve is unrivaled, propelling the social media platform to the forefront of content recommendation. Deep learning can help brands gather, collect, and analyze critical user data. Companies can use searches, voice queries, and consumer interactions with the brand to create highly personalized content for each individual. AI can generate a more personal brand experience, cultivating user engagement and loyalty more easily than ever before. What used to only be possible with the human brain – i.e. business owners manually studying consumer data and making sense of it for marketing purposes – is now automated with amazing accuracy thanks to machine-driven AI applications. AI has made deep learning possible at a massive scale. Vision-based AI combines an algorithm that generates accurate data output with visuals, such as footage from surveillance cameras. Brick-and-mortar companies can benefit from vision-driven AI by capturing footage inside stores and pairing it with algorithms to identify consumer behavioral patterns and measure the effectiveness of in-store displays. Computer systems can record the visual data, translate it into usable information, and deliver it to the marketer in a readable, understandable report. Using AI to track customers’ eye movements as they enter a store, for example, can help marketers position displays where they will be the most effective. Advanced AI could even read the license plates of cars passing by outside, relaying the numbers to an individual using a third party, and use it to create hyper-relevant, personalized marketing experiences. While consumer privacy is a factor when using vision-based AI, companies can take marketing to a whole new level with the data they collect from in-store and out-of-store video footage. In the eCommerce sector, businesses can use AI to analyze content on visual-driven social media platforms such as SnapChat and Instagram, turning user-generated visual content into data. AI can recognize patterns in brand logos or products across user videos and images, and marketers can then use this information to boost social media marketing efforts and increase user engagement. Vision-driven AI marketing will continue to increase in importance as users demand, consume, and upload more photo and video content. Language-based AI is not new technology – researchers have used artificial intelligence to collect and analyze spoken and written words for years. 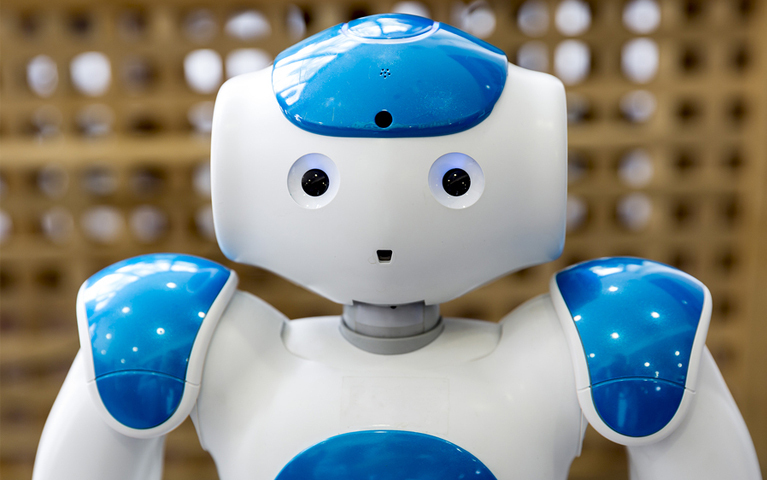 Innovations such as Siri and Amazon’s Alexa have used language-based AI to “interpret” human phrases and respond with relevant answers since 2011. However, this type of AI is finally maturing past the point of mere language analysis and into comprehension. While technology hasn’t yet gotten to the point of real, meaningful conversation, it has expanded its understanding and improved responses. Language-based AI has opened the floor to chatbots in marketing. Chatbots use a conversational interface to interact with customers and respond to their need and requests. Chatbots mimic intelligent human conversation, making a brand seem more caring, empathetic, and willing to help. Customers can interact with chatbots as they would a customer service rep, right from their home computers or mobile devices. Modern chatbots can even learn from prior conversations to answer questions more accurately in the future. Marketers are using language-based AI as sales tools, payment processors, and engagement managers to optimize the user experience. Instead of having to figure out the purchase process on their own, your customers can now rely on chatbots to do so for them. Checking out takes just a click with help from an AI chatbot. Language-based AI is improving at incredible rates, “learning” from past experiences and automatically optimizing to create an even better experience next time. Today’s bots can converse with your customers, taking pressure off of your team and boosting customer satisfaction. Perhaps the most critical advantage of AI in marketing is data analytic capabilities. AI, IoT, and big data create a trifecta of consumer information analysis. Machine learning can analyze enormous sets of data and capture real, actionable insights for marketers. IoT gathers big data, but insights cannot occur without AI. It is artificial intelligence that enables fast and precise analysis of machine data. AI makes it possible for marketers to make sense of the data quickly and easily. AI and IoT are in a symbiotic relationship, where one cannot thrive without the other. With AI applications, marketers can generate reports and learn from the information IoT generates. AI makes this data relevant. It organizes billions of data points, narrows them down to what is most important, and translates them into real, viable, and actionable pieces of information. Business owners cannot use IoT to its fullest potential without AI to make sense of the data. Many marketers can’t use IoT or big data at all. AI in business has the power to gather and analyze big data with finesse, drive consumer insights, and enable fast, efficient decision-making. AI combined with big data, IoT, and the human brain can lift the cap on what is possible for marketing. AI enables business people to gather different types of data, obtain more in-depth analyses, and take action based on effective use of information. As a marketer, artificial intelligence may be the best investment you make in your professional career. I glad you like the post @Clarke.